Navigating sensory issues, social stress and anxiety for children on the Autism spectrum can be a challenge at any time. 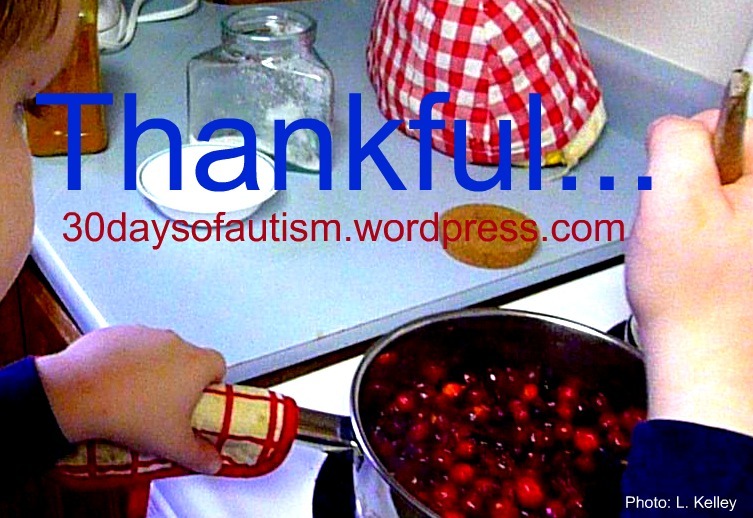 However, I was recently asked by a parent for some tips or suggestions to help her Autistic child get through/handle a dinner event with extended family as this coming weekend is Canadian Thanksgiving (I know… not until November in the US). • Give the child a quiet place to allow him/her to withdraw if needed: When H was younger… he drifted back and forth to the table when we had company… as the social aspects were overwhelming. We had Lego on the coffee table – so he could build and still be close by, but not in the thick of things. He could listen to the conversation and self-monitor/regulate his own level of involvement. • Create a solo area to have some space away when visiting others: When we were at my parent’s house, we created a quiet area for H to withdraw and have time alone with books and favourite activities so that he could calm if needed and not feel that he had misbehaved. • Involve the child in the preparations: I ask H to help set the table and we make it very fancy (still do this…) so he has a vested interest in what is going on at the table. During the day we collect colourful leaves and either make some kind of centerpiece or place a few on the table for a fall theme. This way H is proud to show off the table. If your child is an artist you might have him create place cards and help you decide who should sit where at the table. • Try to do as much of the preparation as possible ahead of time. I have to face it: cooking a turkey dinner is a lot of work – and if I am busy peeling potatoes or prepping brussel sprouts then I have considerably less time to focus on the needs of my child… let alone visit with guests. This much preparation can also be stressful and leave me wondering about how thankful I really am after various meltdowns (both mine and my child’s). Preparing early also removes the stress of the time factor – which allows for activities such as peeling potatoes or cutting up carrots to be a good opportunity to work with H on life-skills within a mentor/apprentice relationship. • Ask for help: I don’t hesitate to ask others for help; family and friends are usually happy step in to lend a hand or to bring something along so that we just have to reheat it before dinner. This is just plain practical and I’m not ashamed to admit that even my own mother is not getting through the front door without either her broccoli salad or her amazing carrot cake in hand… Mmmmm! • Give the child an important job during the transition to the table: We have H in the role of the director to invite our guests to the table. This gives him a sense of control and also makes it easier to join the group. He is most gracious and others have an opportunity to comment on his manners and include him in the conversation. • Consider a plan for predictable conversation for a few minutes of the dinner time: We have started our own family tradition for both Thanksgiving and Christmas: each of us has a couple of moments to share and express what it is we are thankful for and we have H at the helm for this. He is the one who asks the question and “drives the bus” (as we call it), orchestrating who will have the next turn and making certain no one is left out. We are all along for the ride and in this way he is at the centre of the social interaction for a segment of the dinner, and he has the opportunity to use his social cognition skills. • Be creative with other family events and activities that integrate the child’s developmental needs with the dinner time events. This is good because it also allows your guests to gain understanding and insight into your child’s abilities, strengths, and challenges. We created a perspective taking game for when we have one of those ridiculous centerpieces that is obviously too large and is blocking the view of the person across from you. We use that as an opportunity for H to imagine the perspective of others by asking the question: “Who is the flowerhead to ____?” H has to imagine the visual perspective of a person at the table and picture (from their perspective) who is across from them and being blocked by the centerpiece: that person is the flowerhead. We then check with the person to see if the perspective taker was correct. In my experience, younger children like to join participate in this as well. Seriously, this is only a two-minute activity – depending on the number of guests… so indulge and give it a try. I am aware that what we are doing here is not exactly rocket science – but my point, ultimately, is that we have found ways to build traditions and our own family culture around simple yet meaningful interactions. This family culture of ours has built up over time, and it continues to change and evolve. To us this seems a perfectly natural and practical way to foster inclusion. For another family our ways might not be a fit, but whenever we are seeking to build connections and a feeling of belonging in a way that honours the needs of our children, we should take a moment to give thanks that we are likely on the right track. This entry was posted in Anxiety, Aspergers, Autism, mentor/apprentice, ToM (Theory of Mind) and tagged Aspergers, Autism, behaviour, belonging, family, family culture, pace, Perspectives, sensory overload, strategies, struggle, tradition. Bookmark the permalink. Great tips. Will try some of them during this festive season as our last Christmas with all the family together was a nightmare meltdownfest! I don’t have a child with ASD. I am a teacher and parent who is reading just to get perspective and maybe keep some things in my mind for when I meet/work with kids and parents who may have these needs. It’s a good list of things to offer in my home. I’m also thinking these things will work well for my young twins. They get overwhelmed by these big events with people they (unfortunately) don’t see often. I think these tips would help them get some control over the day too! As the mother of a profoundly autistic daughter, I heartily agree with these suggestions. However, remember that we’ve found it’s not usually our daughter who needs to be prepared for the event, rather it is the relatives. Everything from, “Can you make her stop jumping up and down?” to, “Get back to the table and finish your dinner!” has flown out of the mouths of countless THOUGHTLESS relatives. An email ahead of time can help them remember to be supportive and nice or to be silent out of respect for my daughter. This is an excellent suggestion. Family or friends can jump in with the best intentions, assuming that they are helping, and can end up making things more difficult. I like your idea about an email ahead of time… This is an opportunity to give some insights into your child’s experience and some suggestions about how others might help. It is difficult for others to behave in what we perceive as a thoughtful or helpful manner if they don’t have insight into the situation. Thank you so much for your comment… you really got me thinking about this from an entirely new perspective!! Love it! Great blog! I will be following you! Would you mind if I posted this on my Growing Kids Therapy Facebook page? I know I have many readers who will appreciate this advice! Thanks Leah! I am happy to put this up on my FB page! I loved your ideas and I think so many families can relate to both loving and dreading the holidays because the changes in routine can become quite stressful! Your suggestions will help make the holidays a little more manageable! Magnificent web site. Lots of helpful info here. I’m sending it to several buddies and additionally sharing in delicious. And of course, thank you on your effort! 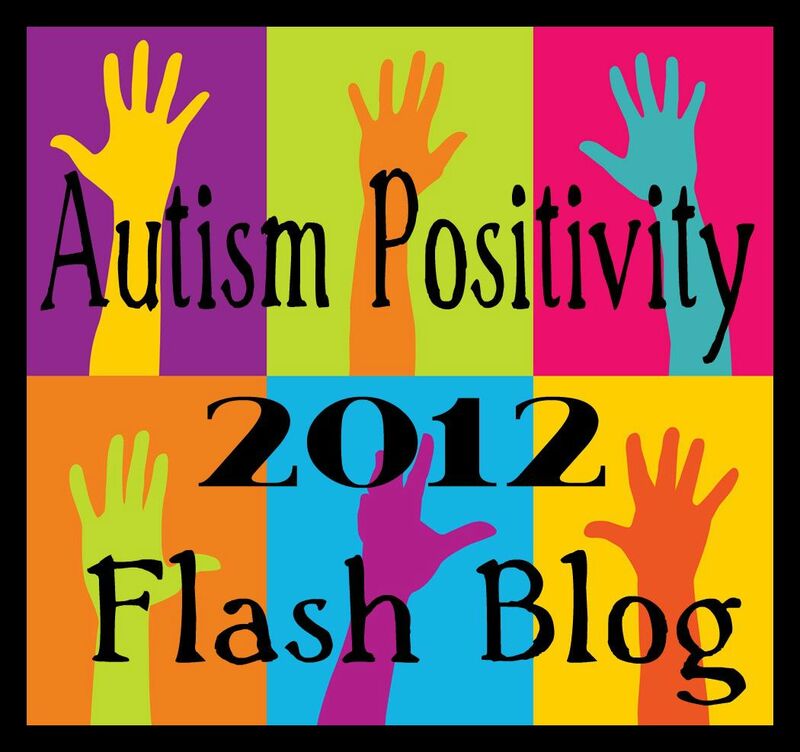 I’d also love to repost a link to your blog on my nonprofit’s facebook page. We do education and support for students with ASRD, their families and educators. Also, I’d like to include a link to this article in an email to our membership. I think the advice you have in this blog is fantastic for our families. You have tips in it that I haven’t seen in other “get ready for the holidays” posts. Do you mind? Thanks for taking the time to post this great advice for our families! Thank you for your supportive words! I would certainly be delighted to have you to share a link in your email to the families with whom you work and also on your fb page. Thank you for asking 🙂 Awesome that you are supporting families with information you think is useful! This is what my family holidays are like. With my lovely autistic family. There are so many traditions galore and routines and rules. And snacks. Snacks are good. Constant food is a good way to avoid melting down. (And large variety of foods means you only have to eat what you like!) And because my autistic family is autistic (or autistic-like… I know some other people are almost certainly autistic, but some aren’t), it’s perfectly acceptable to go take a break. We always have hiding rooms for quiet spaces. Or people go on walks. Or stuff like that. And that is how to handle very large families that love to get together in excess of 40 people in one house and still avoid autistic meltdowns. And eat all the delicious food.